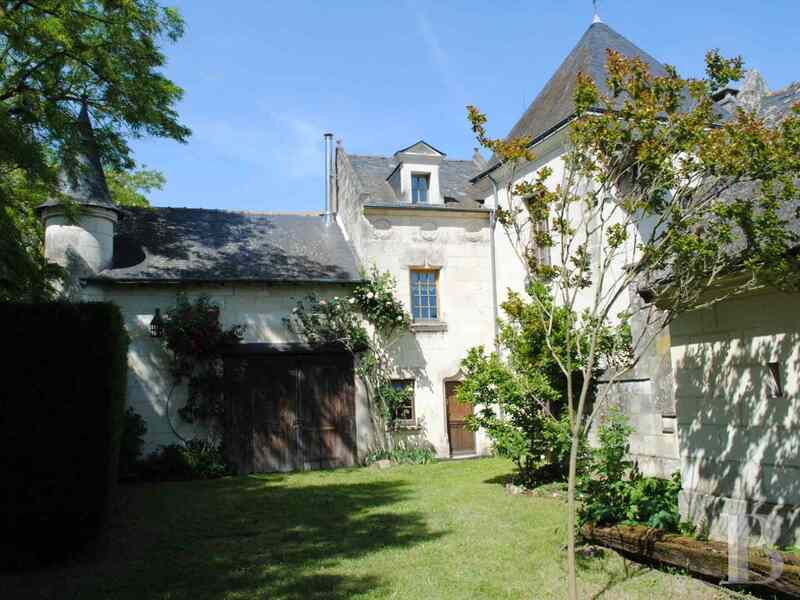 An astonishing manor house, combining the 19th & 16th centuries on the banks of the Loire between Bourgueil and Chinon - character properties France - in Sologne, Touraine, Loire valley, Burgundy, Auvergne. 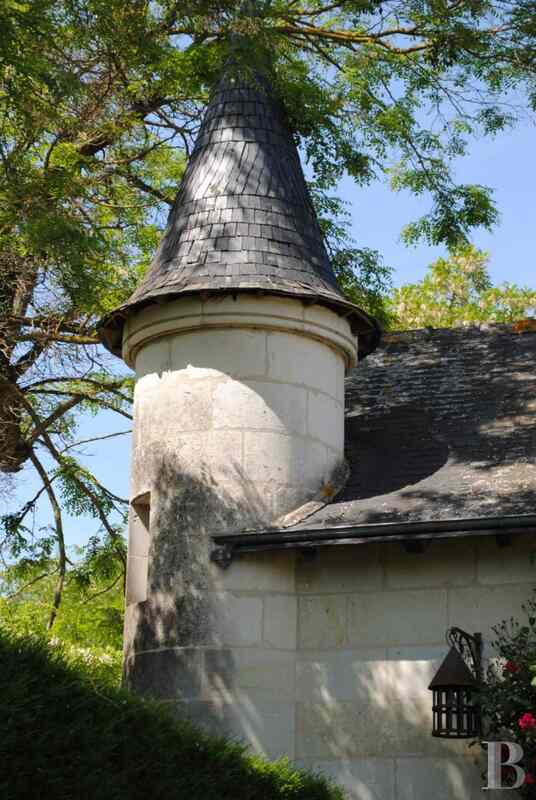 - Patrice Besse Castles and Mansions of France is a Paris based real-estate agency specialised in the sale of Character houses. 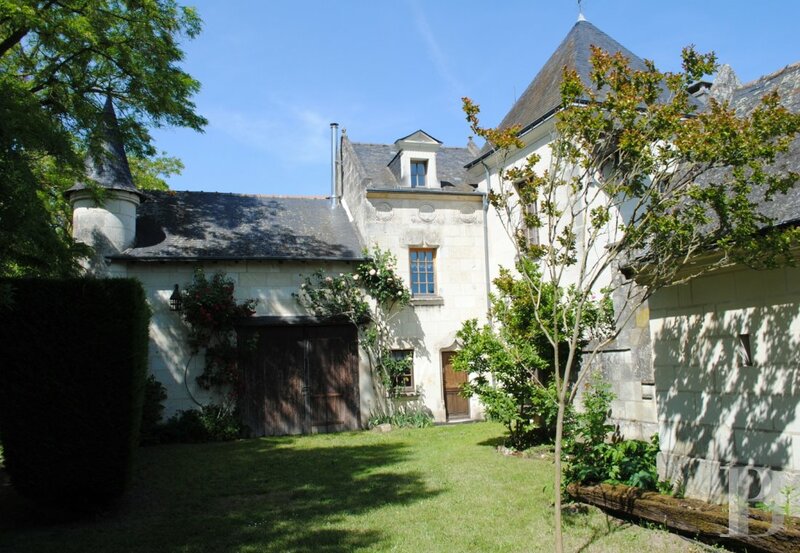 This manor house is on the banks of the river Loire, in the midst of the Touraine region around Angers, near to two renowned, AOC vineyards. The water forming the Loire river flows for kilometres between sand banks, islets and gravel pits as well as between vines, forests and meadows. This region, home to the river fleet, navigators, fishermen and other sailors, small boats and barges, boat-mills and other narrow boats, has a wealth of varied heritage including chateaux, turreted residences, churches, local-style windmills and other priories. 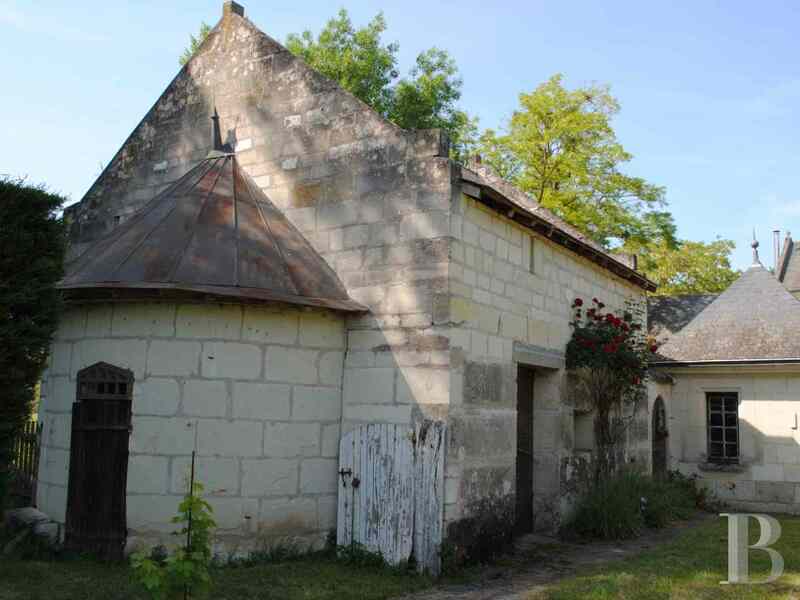 Bourgueil is nearby, Tours is 50 km away and Paris is about 2½ hours by motorway. The surroundings are peaceful. 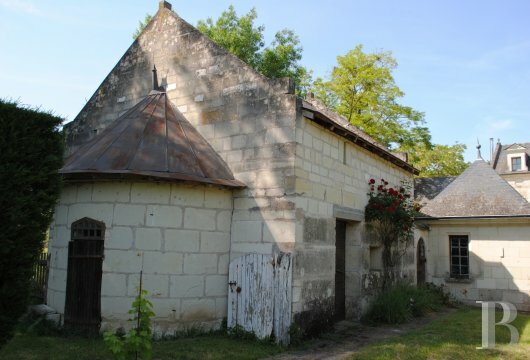 The origins of the commune date back to the very beginning of the 11th century. 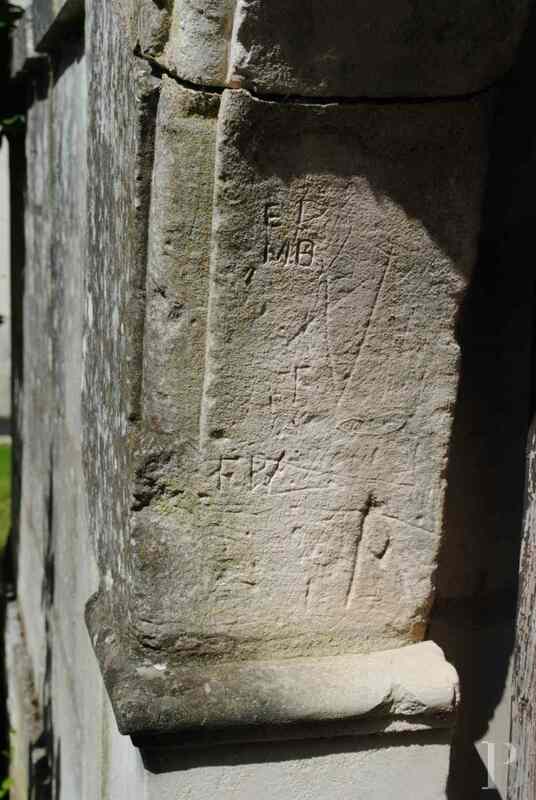 It was then governed by the nearby priory and abbey, and then by the neighbouring seneschalsy. 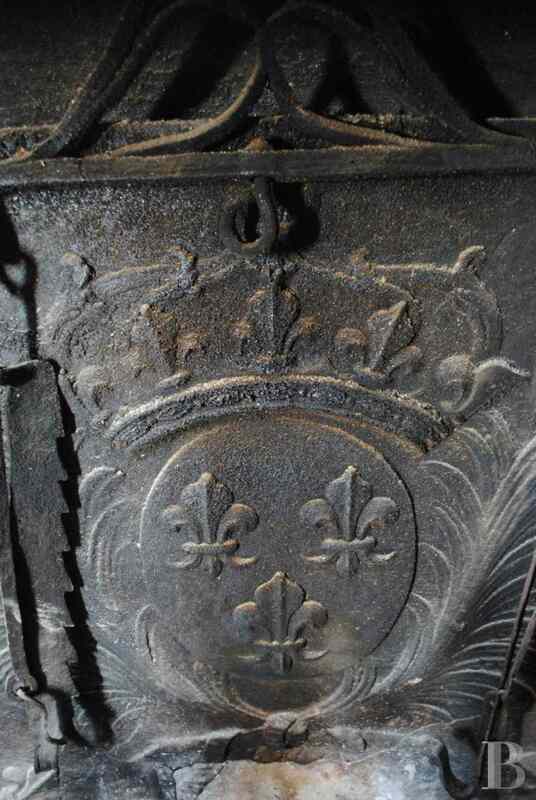 Its name was to appear much later on the Cassini map of France in the 18th century. The river fleet and the milling industry played a particularly important role in the development of the village, also a market town for multiple farm crops. Once a large port, well-known at the time of the river navy, it still has its quay, spanning several hundred metres in length, which was extended in the 19th century and restored at the end of the 20th century, still dotted with bollards and other mooring rings. Still on the edge of the river Loire, the village is set out along a main street. Further away, at a distance from the village, a little road winds its way through the countryside, between hamlets and plots of land with evocative or picturesque names. The outstanding local heritage is enhanced with several historic monuments. Here and there, between pastures and copses, around a bend in a lane, are small farms and market gardens. This property, somewhat concealed by one or two neighbouring constructions, comes gradually into view, revealing its astonishing facade and creating a strange impression of surprise mixed with curiosity. This dressed stone building, bordering the lane and preceded by a small sunken area, edged by a low stone wall, is bordered by stone corbelling separating the first and second floors, adorned with mullioned and stained glass windows, flanked by a multi-sided turret and enhanced by a corner watch-turret. It is extended by another 40 m² building, in use as a workshop, with a very high ridge. This could be converted into additional living space. Opposite, a delightful small building, spanning more than 30 m², brings an old chapel to mind. It houses a storage area and a garage, with an attic above. Next to this is another small feature, with an 11 m² room, exposed beams and terracotta floor tiles. 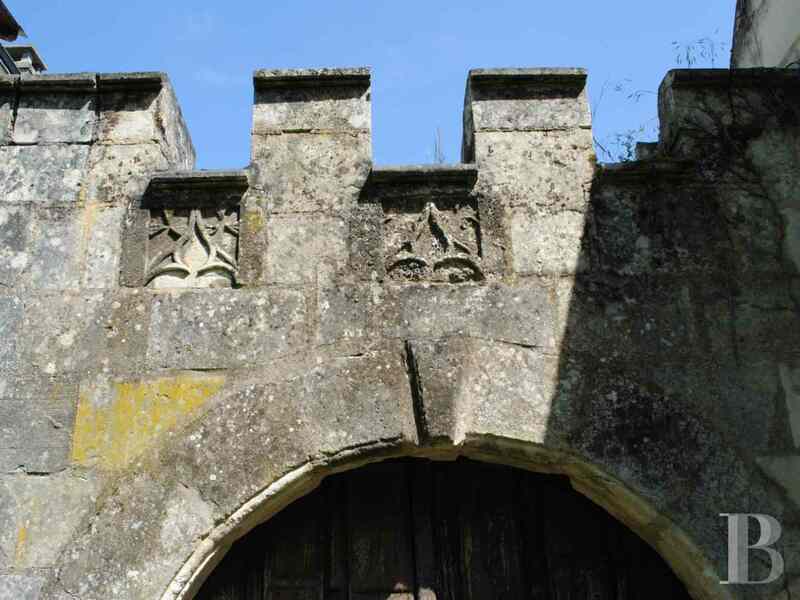 It is linked to the others via an old stone wall, featuring a vaulted porch way which provides entry to the garden. 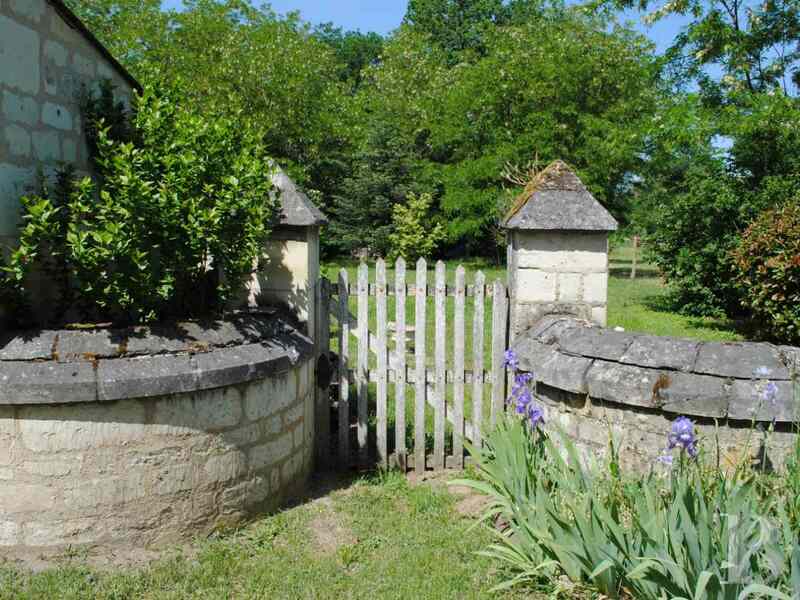 On the right-hand side, on the edge of the lane with gable access, a set of gates opens into the rear of the property, extended by a large garden. Spread out on the south side over approx. 2,600 m², it is planted with shrubs and trees. 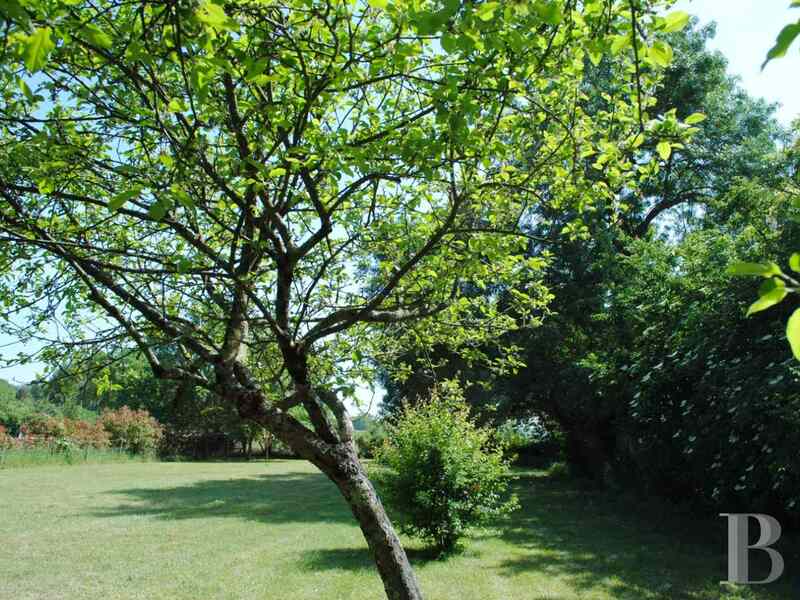 Opposite, on the other side of the lane, is another wooded plot, spanning more than 1,500 m², with a shed. The impressive, elegant stone facade extends along the lane. A small, adjoining building is well integrated on the left-hand side. 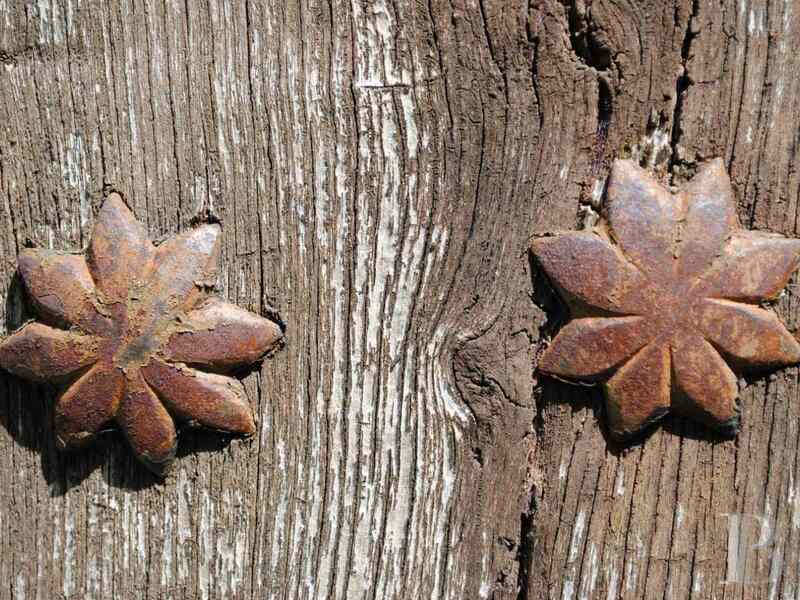 An old finely carved and roughly studded wooden door conceals a little room in use as a laundry and storage area. 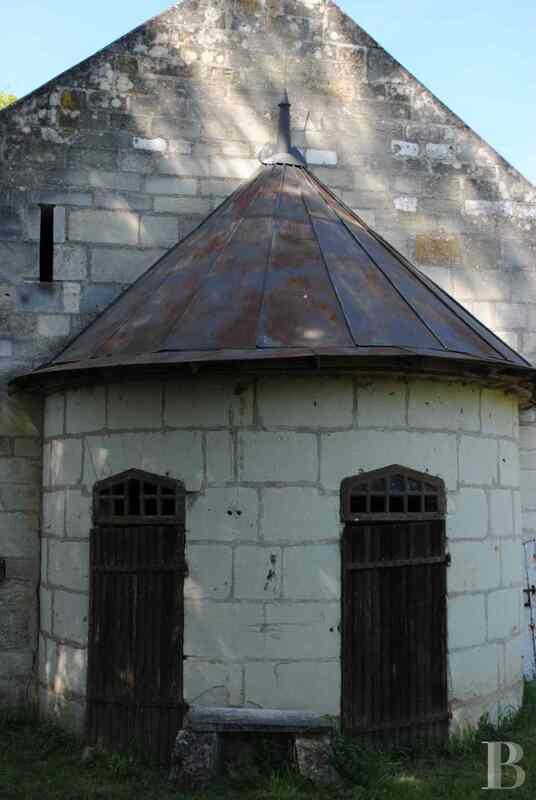 The multi-sided turret, on the right-hand side, is closed at its base by another old wooden door. 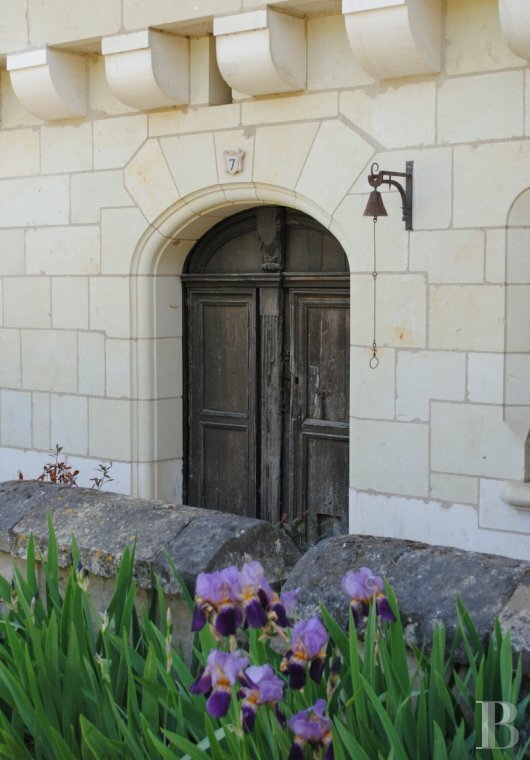 Heavy, double, wooden entrance doors, aged by time, open into a tiled vestibule. This main section of the building spans approx. 150 m². Another adjoining and communicating section of the house could be made independent and rented as holiday accommodation. Spanning approx. 60 m², it has a 25 m² living room, with a fitted kitchen area, a shower room and a small spiral freestone stairway, providing access to two bedrooms spanning 20 and 15 m². There are terracotta floor tiles and exposed ceiling beams throughout. This residence is currently divided into two separate houses, one of which is rented. It could, however, become a single home once more and even be extended with two other areas following on, a workshop and an attic. 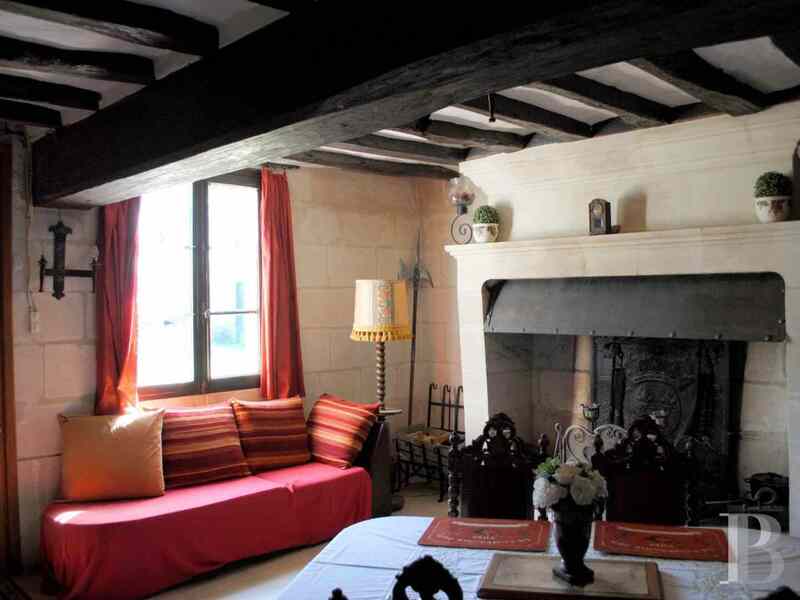 Most of the rooms have exposed stone walls and ceiling beams as well as terracotta floor tiles. 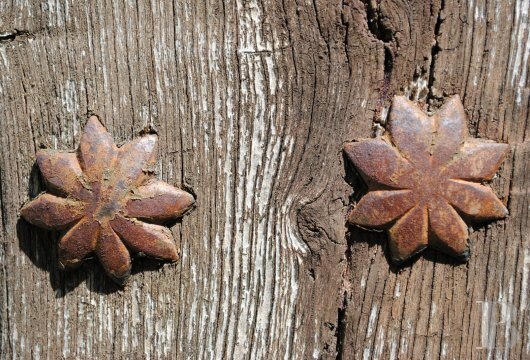 Worthy of mention are the numerous old features such as several old carved wooden doors, stone ornaments and wrought iron accessories and door furniture, all from another time. 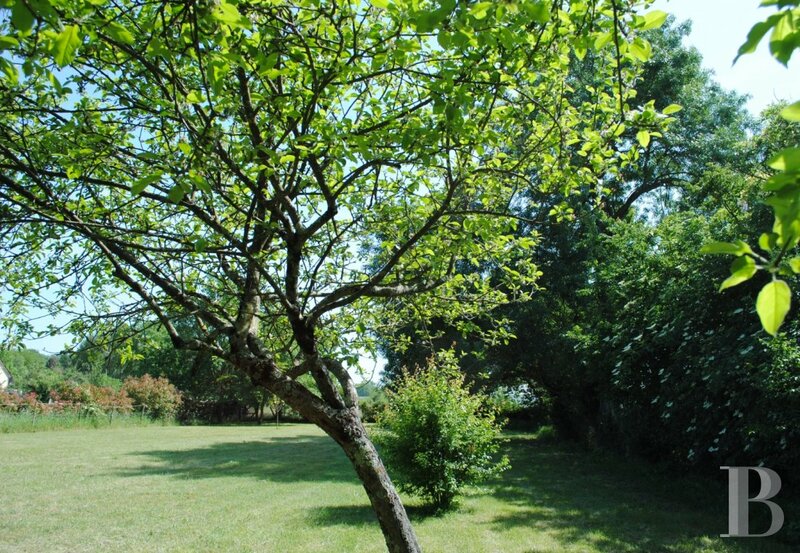 A large stretch of lawn, on the garden side, is enhanced with trees as well as shrubs and bordered by hedges as well as old stone walls. 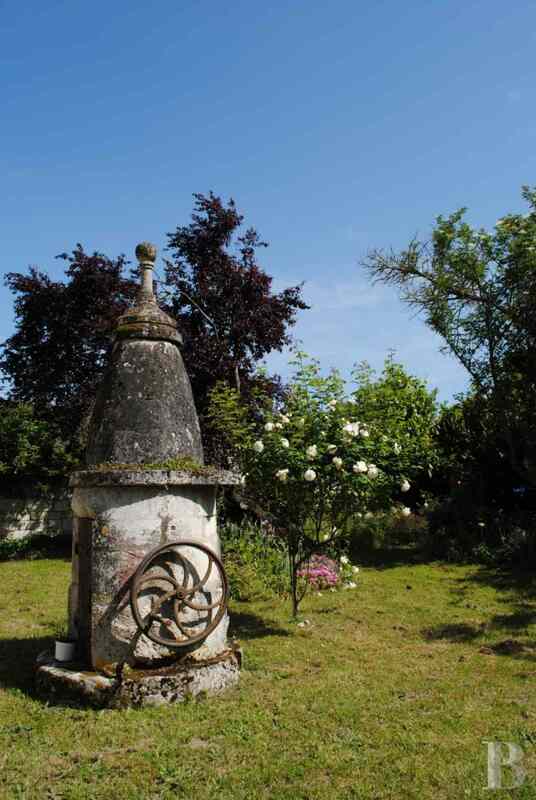 An outstanding stone well stands in front of the garden, with meadows in the distance. The view of the surroundings is relatively clear. 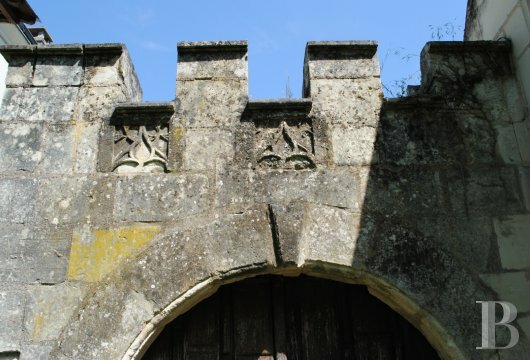 A small study, on the right-hand side which could be used as a cloakroom, communicates with the turret and its spiral stone stairway. On the left-hand side are a fitted kitchen, a hall area, a bathroom and a toilet. 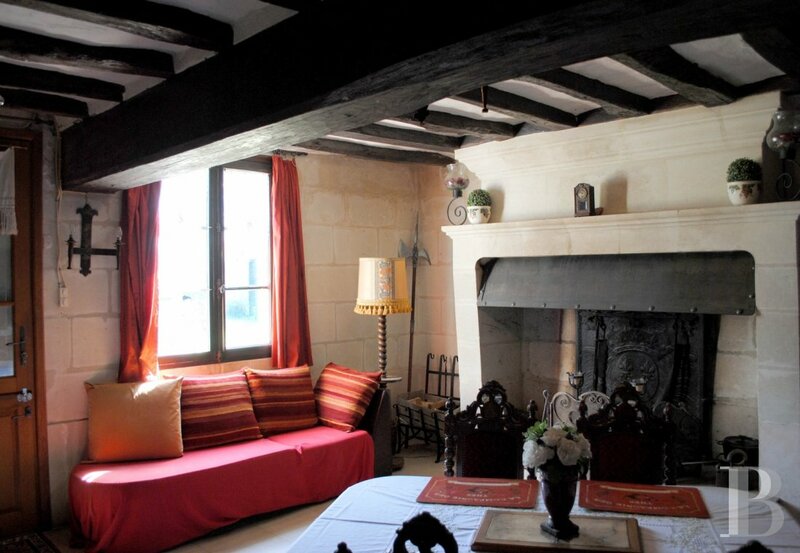 Straight on, a 35 m² reception room has an impressive stone fireplace. 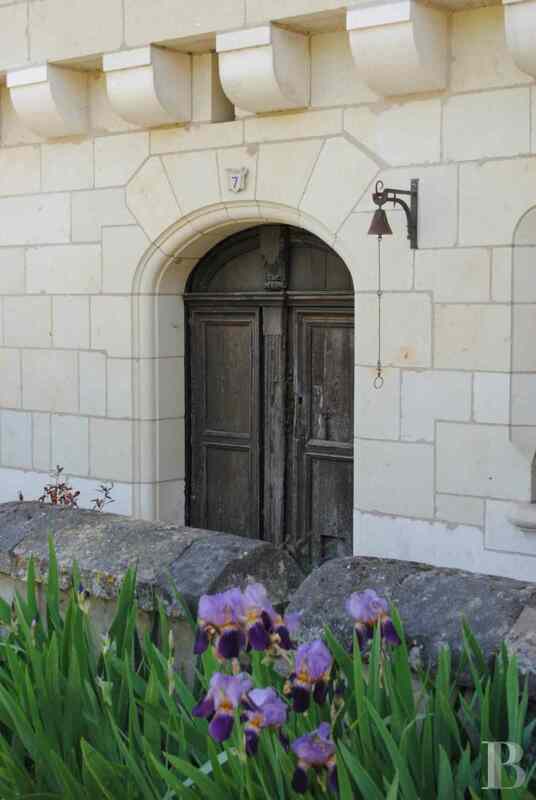 A door provides access to the garden. Another 25 m² room, on one side, is currently in use as a bedroom. Built-in cupboards and hanging space have been installed along an entire wall. And, on the other side, a 15 m² corner room used as a study also opens on to the garden. An astonishing 30 m² room, as if from another era, features an outstanding stone fireplace, a mullioned, stained glass window and terracotta floor tiles. Next to it is another 15 m² bedroom and a bathroom. A stone stairway goes down towards the garden, its access protected by an impressive old portcullis and its reconstructed draw mechanism. A large 60 m² attic could be converted. There is a small attic above. 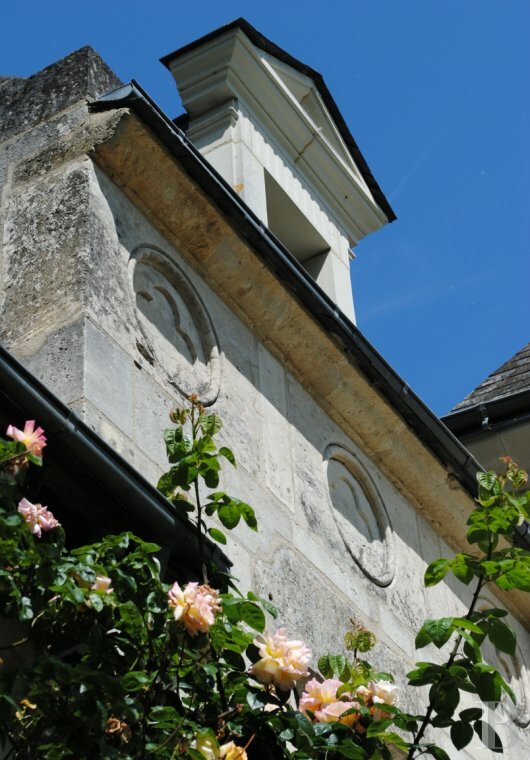 The restoration of the manor house was carried out in the 19th century by an enthusiast of architecture. 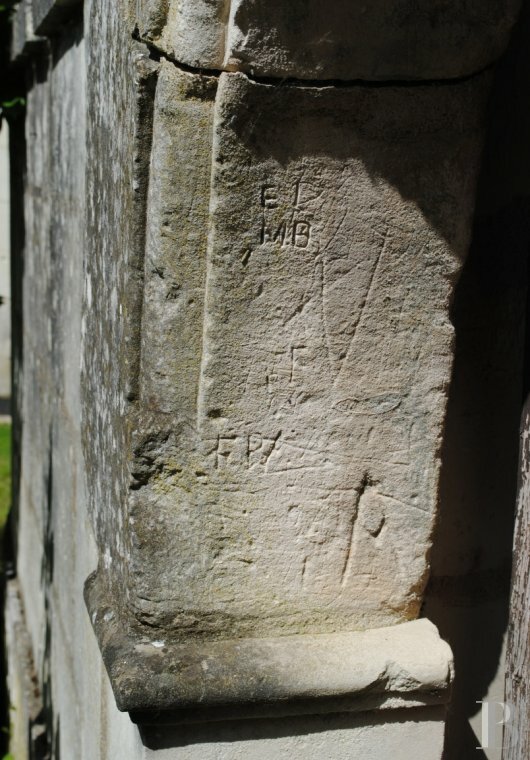 The Middle-Ages were in fashion at this time and freestone is easily sculpted. The result is surprising and pleasant. The machicolation feature and the battlemented porch way are not at all ridiculous. The candlesnuffer roof blends in perfectly. 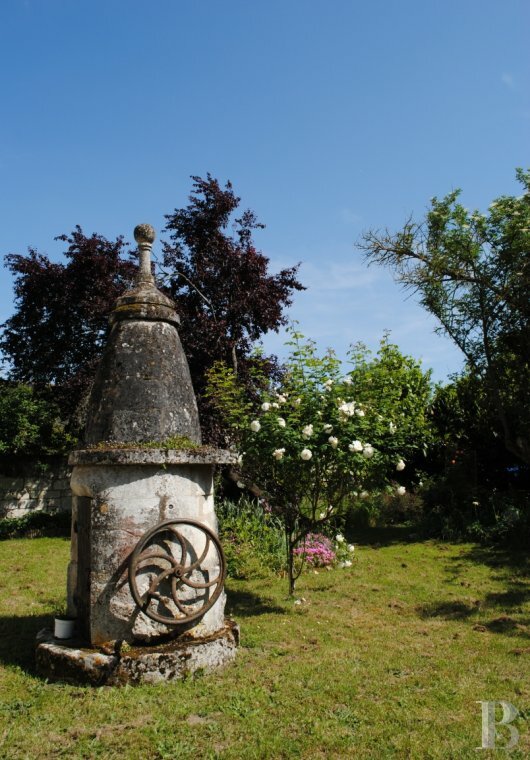 A mascaron, eroded by time, is an original feature, much older than the residence. 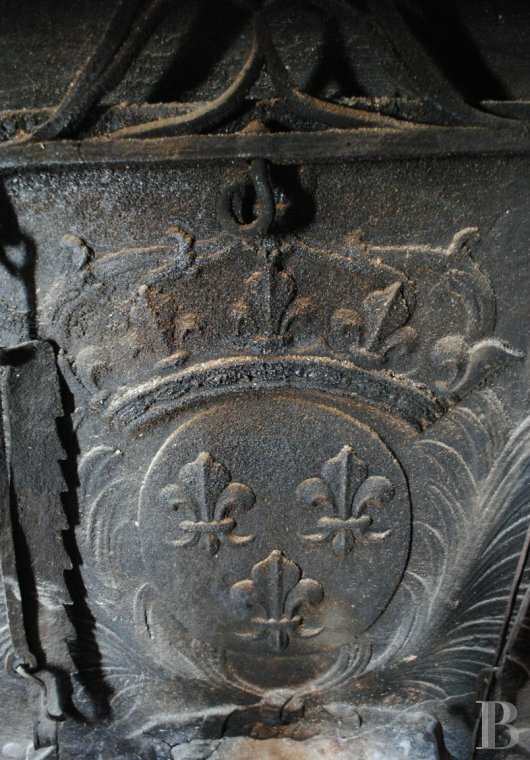 The wrought wood, notably featured on the moulded doors, and the sophistication of the wrought ironwork are alone worthy of much greater interest. 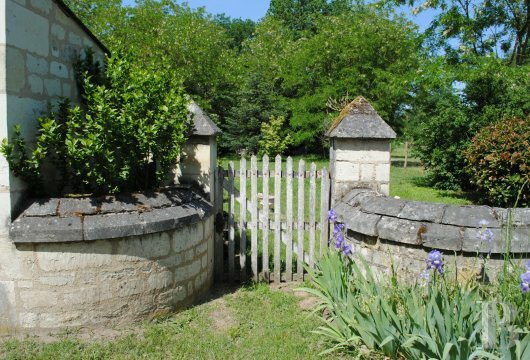 This would be an elegant way of settling in the countryside in a region marked by the scenery and history of the Loire. The two current houses, one being rented out as holiday accommodation, could obviously become a single residence once more. 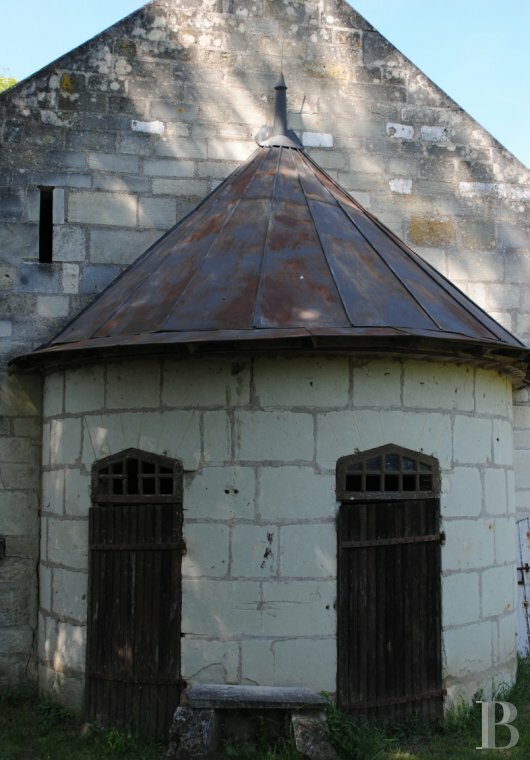 The outbuildings provide additional useful floor surface areas.